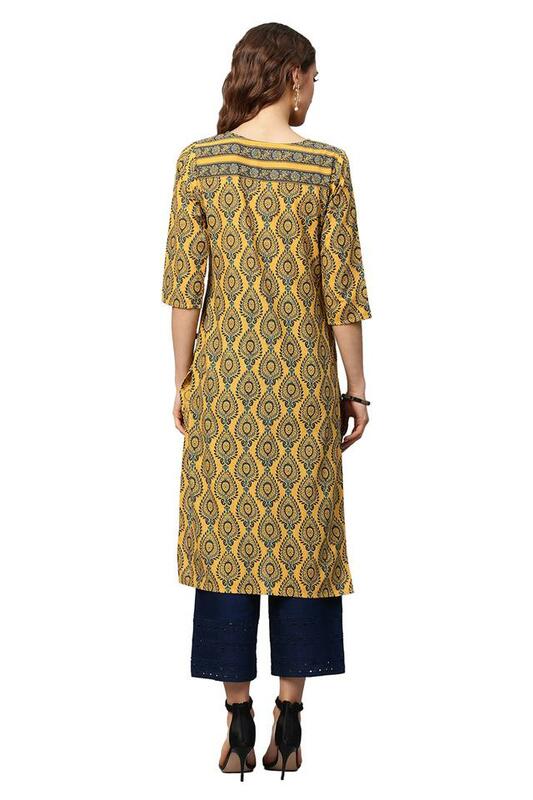 If you are looking for something fashionable, take a look at this straight kurta and pants set brought to you by popular brand Juniper. Crafted from cotton fabric, it will let your skin breathe. 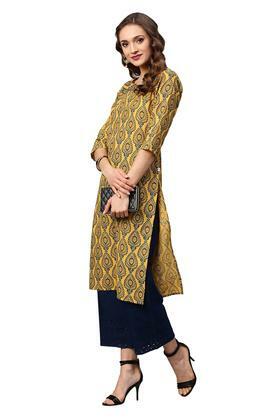 The kurta flaunts a printed pattern and three quarter sleeves along with a notched collar lends it a classy appeal. 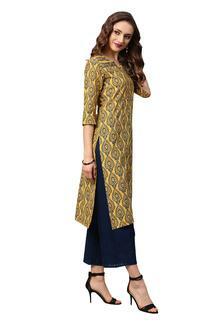 The pair of pants features a beautiful lace pattern which enhances its look. 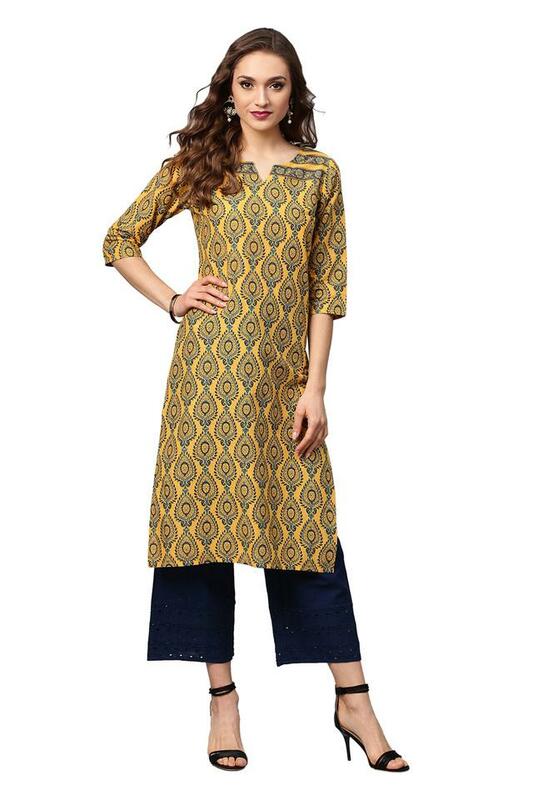 Bring home this kurta and pants set, which will be a great choice for casual occasions. Designed to perfection, it will look great with a pair of heeled sandals.